This online course provides students with the 14 credit hours needed to meet the continuing education requirement for the State of Florida. This online course includes lessons that students can study at their own pace, various interactive exercises, visually engaging educational graphics and comprehensive exams that test how well students understand the material. This continuing education course is the most comprehensive of its kind in the state. Premier Real Estate of Tampa’s online courses are the most comprehensive and widely respected in Florida. As long as you have a reliable Internet connection, you can access these courses at any time. The online courses includes lessons that students can study at their own pace, various interactive exercises, visually engaging educational graphics and comprehensive exams that test how well students understand the material. Here’s why taking the course online works best. All Instructors are Florida State Certified Real Estate Instructors, and are available to you via email or telephone. If there are any sections of the course you find difficult to understand, we are here to help for one full year. All e-mails will be answered within one business day, and we are available by phone Monday-Friday 8:00am to 6:00pm. You will have access to all of our online course materials for up to one year of the purchase date, and you may go through the course as many times as you wish. The Florida Real Estate Commission allows two attempts of the end of course exam, then you must wait at least 30 days before retaking the exam. All content found in this course conforms to the Florida Division of Real Estate's prescribed Florida Real Estate Commission (FREC) Course I Syllabus for the continuing education course for sales associates. 14-hours of continuing education consisting of 11-hours of specialty credit and 3-hours dedicated to an update of Florida laws. These courses may be conducted in classroom and distance education environments. This course is offered online and offers students one year of email and phone instructor support in case you need help with any of the covered concepts. We provide this service at no additional charge. 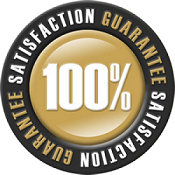 Upon completing the continuing education course, you’ll begin a review for the final exam. You’ll cover everything you need to know for the final course exam in these review sections. This course includes many helpful review activities to prepare you for it. The multiple choice continuing education course exam has 30 questions. Once you’ve successfully completed the course and passed the exam, we’ll submit your information to the State of Florida electronically. We recommend completing your course far in advance of your license renewal deadline to ensure that your course completion is reported before the deadline. 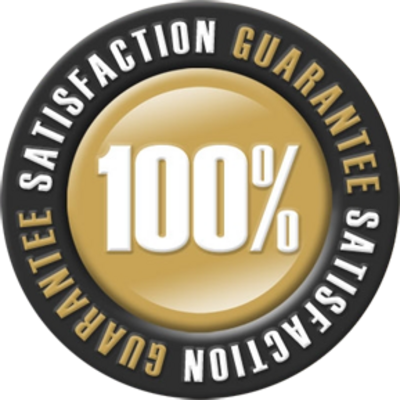 90-day 100% Satisfaction Guarantee – If for any reason you are not completely satisfied, we will issue a full refund as long as you have not progressed beyond the first lesson of 3 hours. All requests must be submitted in writing within 90 days of the original purchase date.